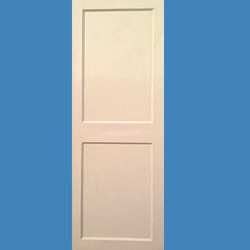 We are one of the most prominent manufacturers and suppliers of a gamut of FRP Doors. Our range is fabricated using latest technology, which is approved by TIFAC. We offer these products at economical prices to our esteemed clients. Leveraging on the pillar of quality driven performance and dedication to bring about a range of products that are true to quality standards and yet feasible for every budget, we bring to our clients our CPWD FRP Doors range. This range is available in various designs and colour choice also we can supply these doors with standard as well as custom sized dimensions.